Going on vacation is an exciting time that brings the promise of exploring foreign lands, relaxing by the pool or soaking up the sun on a tropical beach. However, the time leading up to the vacation can be stressful if you aren’t organized. Here, we take you through the must-have items that need to be on your checklist when you’re packing for a vacation. Your journey takes you to a place that you may not be familiar with, and if you don’t pack for the proper season you may find yourself too cold or too warm, depending on your destination. A vacation packing guide would not be complete if it ignored these essential items: enough socks and underwear to last the entire trip, as well the right kind of clothes to suit the climate that you’ll be visiting. Make sure you are also prepared for any stops you will be making along the way, as these shortstops have the potential to turn your enjoyment into discomfort. You are going to be in for a bad time if you forget an essential like your toothbrush, so your toiletries should be the second thing you pack. Make sure that you have your toothbrush, toothpaste, and deodorant at a minimum because nearly everything else should be covered by your hotel. On top of these, you may wish to bring perfume or cologne and makeup, and if you’re visiting a hot, tropical climate, be sure to also include sunscreen and aloe vera cream in case you get sunburnt. A hairbrush and hygiene products are also essential. While you may not get sick while you’re on vacation, it is better to be prepared for any eventuality. Packing enough supplies to make you more comfortable if you manage to pick up an illness while you are away will make sure that your vacation doesn’t get ruined. Be sure to pack a small first aid kit, any prescriptions that you need, as well as mild analgesics like acetaminophen or ibuprofen. It’s a good idea to include allergy medication if you suffer from allergies, as well as diarrhea medication in case you eat something that doesn’t agree with you. There’s going to be a lot of downtime on your trip, so bringing something to entertain yourself is a good idea. The best thing to bring with you is a book that you’d like to read, which will allow you to pass the time as you’re relaxing by the pool or even while you’re waiting for your flight to take off. It’s a good idea to pack headphones, too, as purchasing them while you’re away may cost you a pretty penny. If you’re bringing anything that needs charging, be sure to bring an electrical converter along with your charging cables. 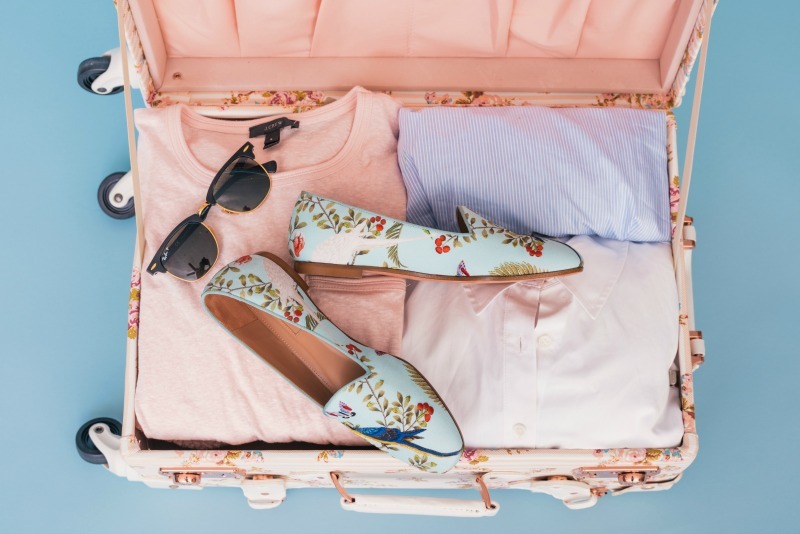 Going on vacation is an exciting time, and by planning your packing checklist early, you can be sure that you won’t forget anything along the way. From clothes to entertainment, health items and toiletries, by planning what you need and what you can do away with means that you’ll be traveling efficiently and without extra burden. Use our guide to plan the checklist for your next vacation.